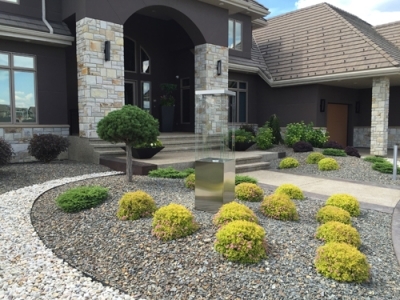 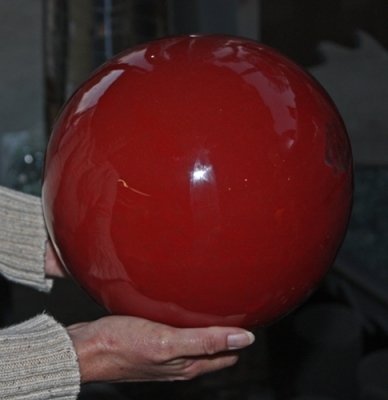 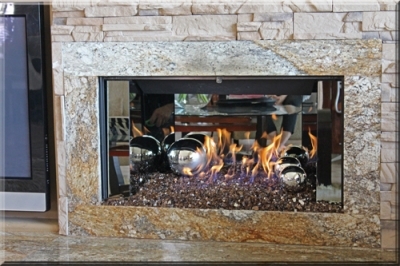 The pictures of the fireplace below were sent to us by a customer who use a bed of Bronze Base Glass FireGlass with a mixture of Amber Base Glass, Orange Topper and Dark Red Orange Topper. 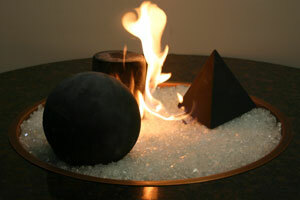 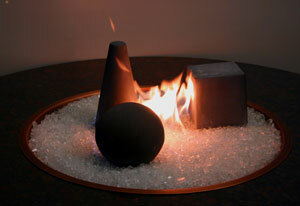 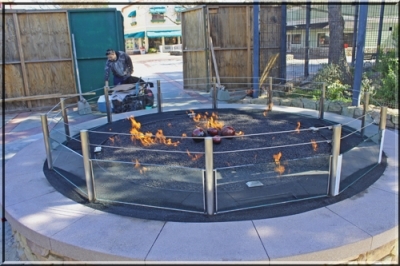 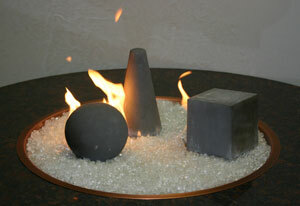 They then decided to use several solid concrete Fire-Shapes to it off. 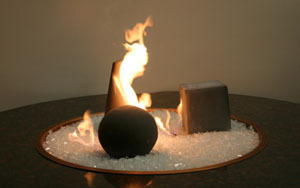 GEO18-A. 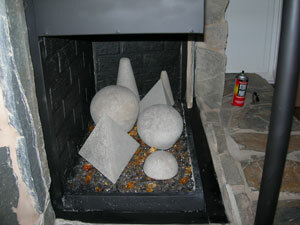 Set of (13) Fire shapes. 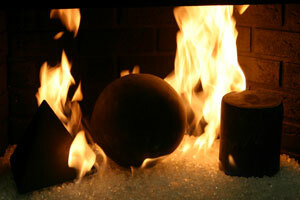 GEO18-B. 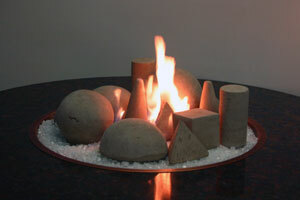 Set of 8 LARGE Fire Shapes. 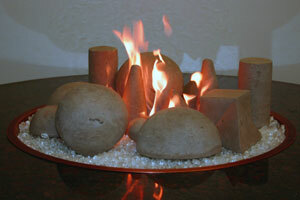 A Set of 6 LARGE Adobe Red/Beige (RB) Fire Shapes. 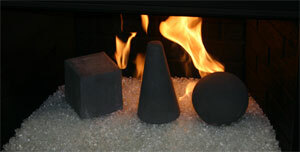 GEO24-C. A Set of (6) Large Mixed Fire Shapes. 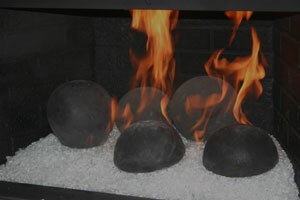 A Set of (7) Large Mixed Fire Shapes. 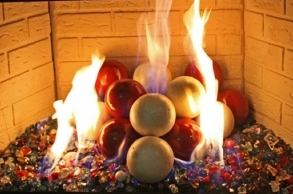 A Set of (14) Large Mixed Fire Shapes. 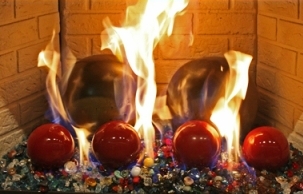 A Set of (11) Large Mixed Fire Shapes. 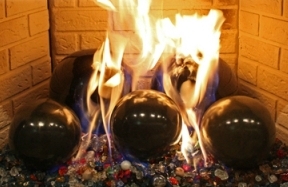 A Set of (15) Large Mixed Fire Shapes. 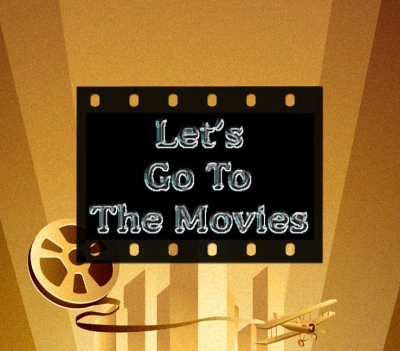 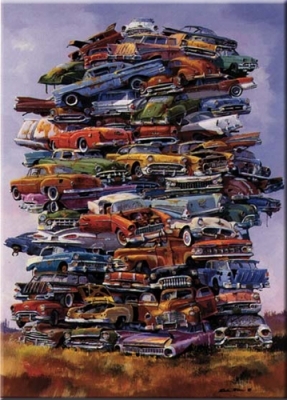 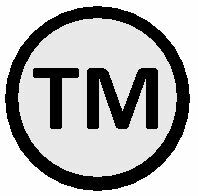 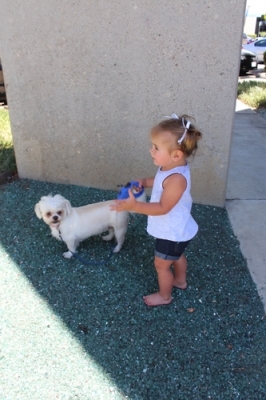 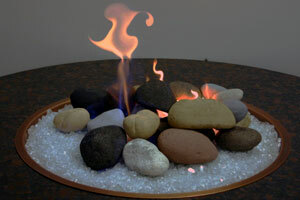 See our newest product! 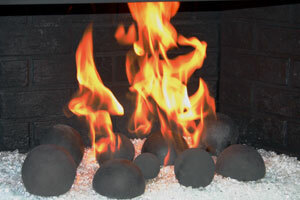 Soot Free Logs! 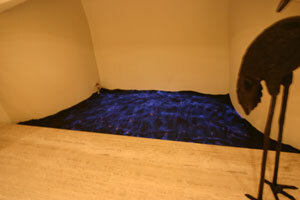 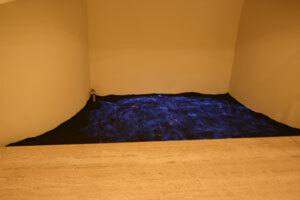 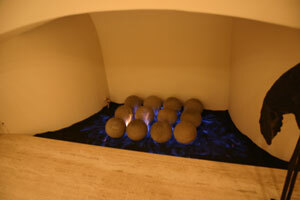 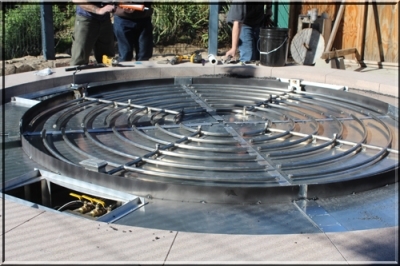 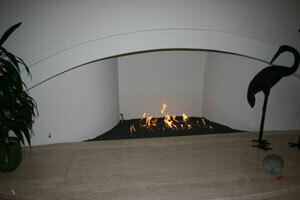 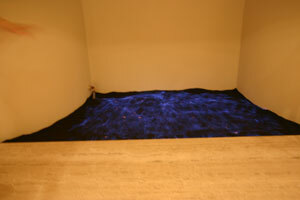 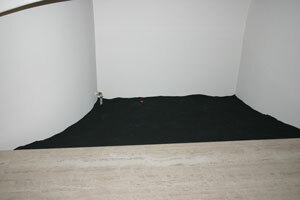 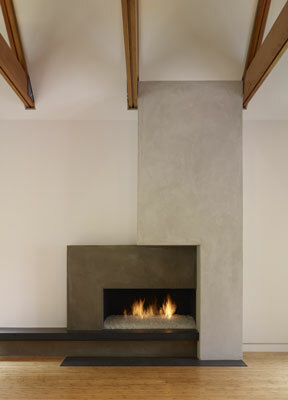 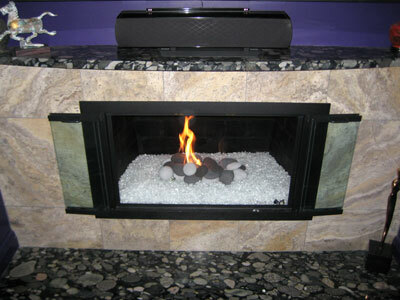 The fireplace below has a base of black and black reflective with Firestone's on top. 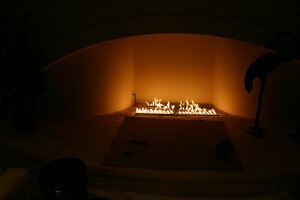 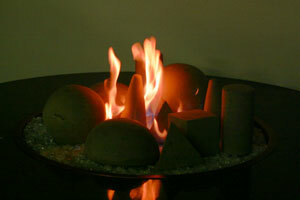 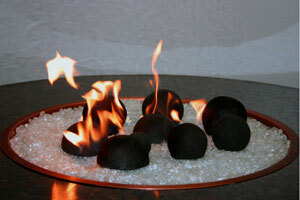 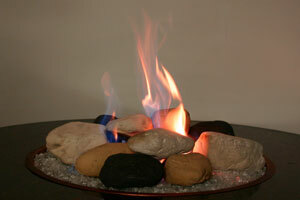 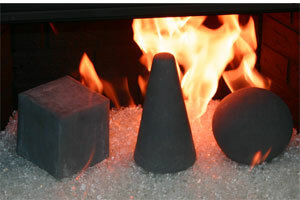 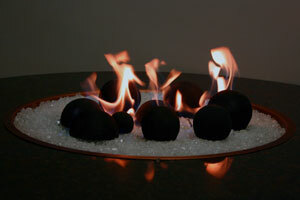 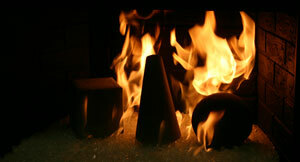 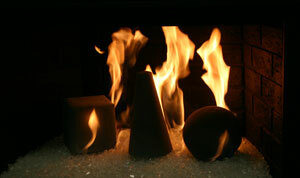 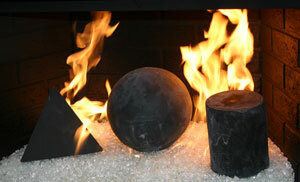 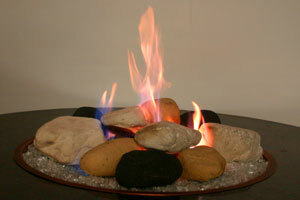 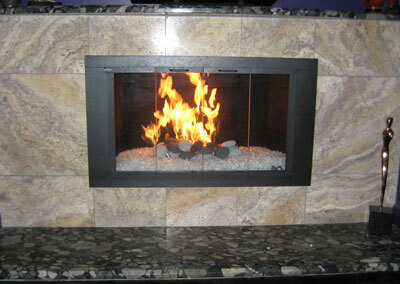 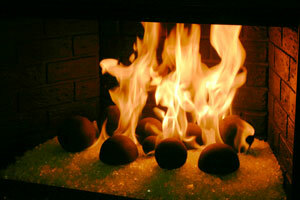 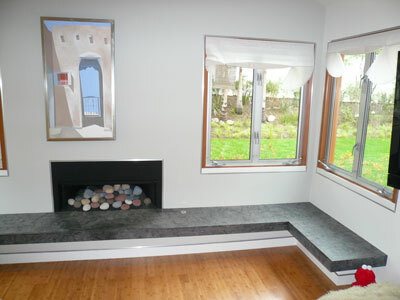 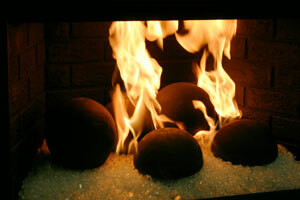 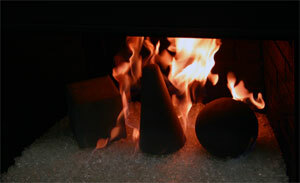 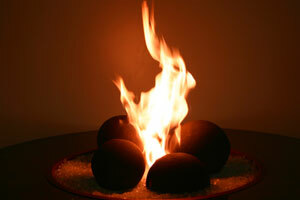 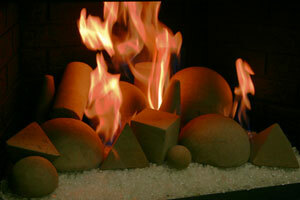 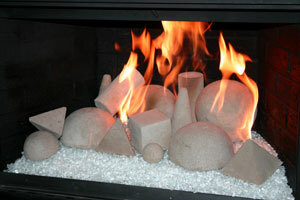 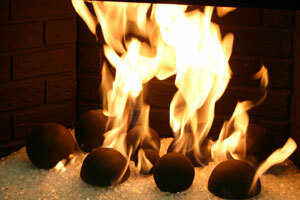 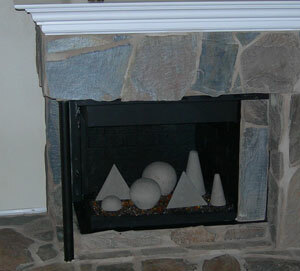 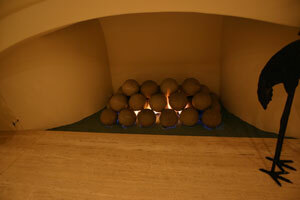 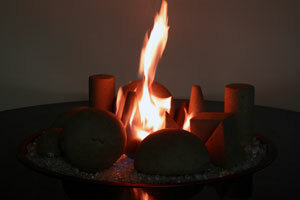 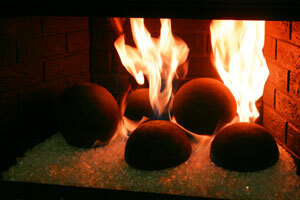 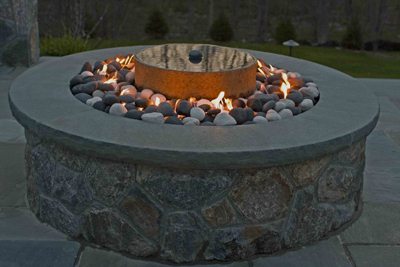 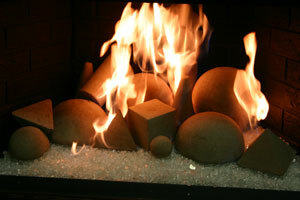 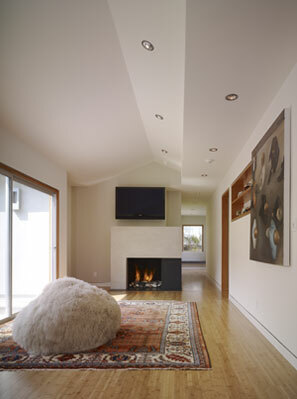 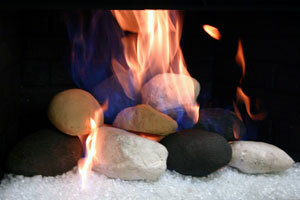 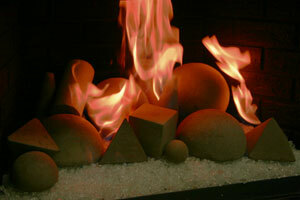 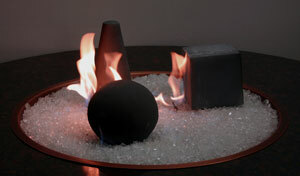 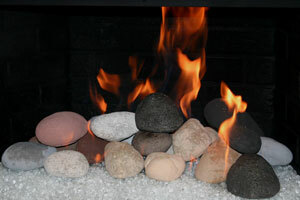 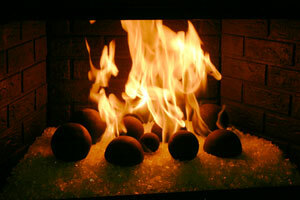 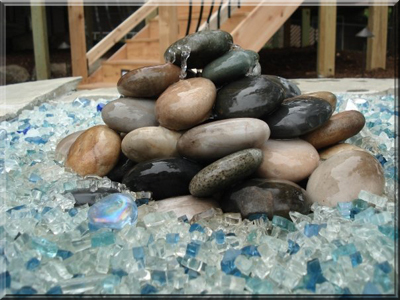 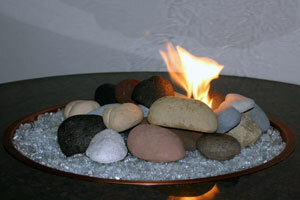 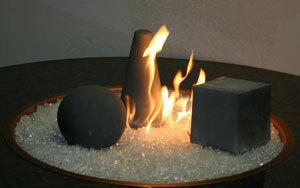 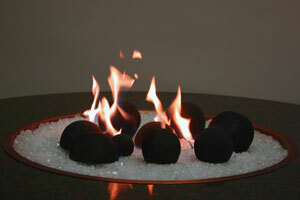 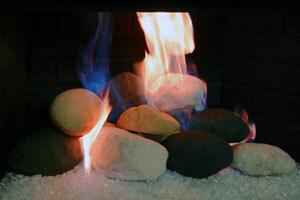 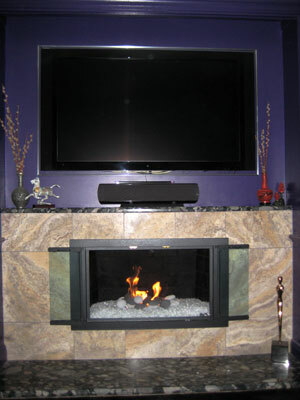 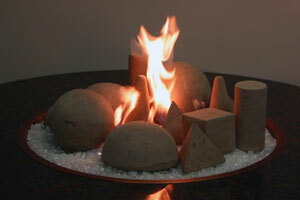 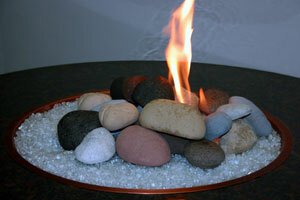 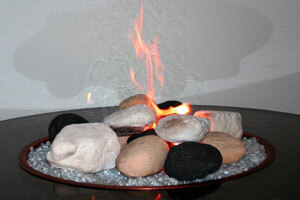 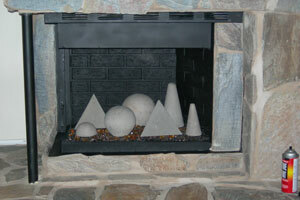 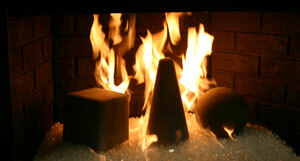 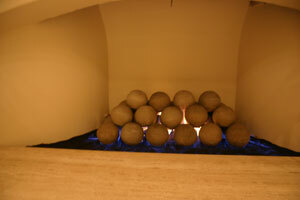 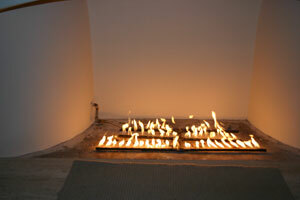 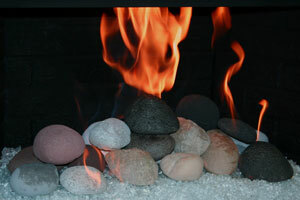 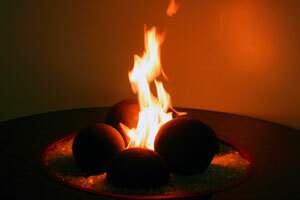 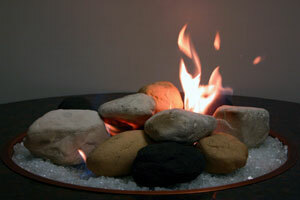 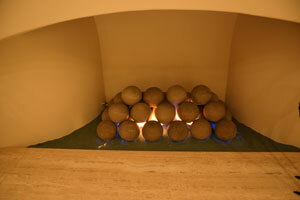 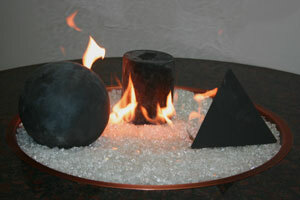 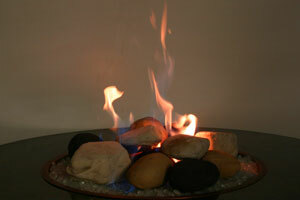 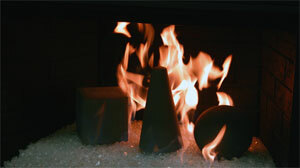 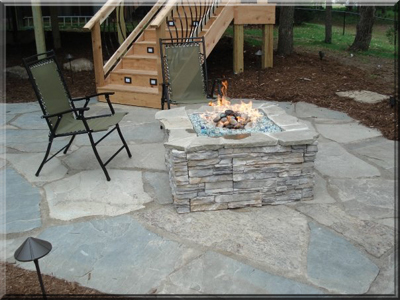 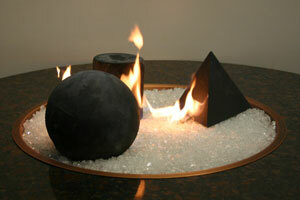 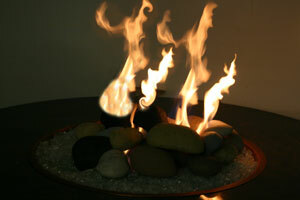 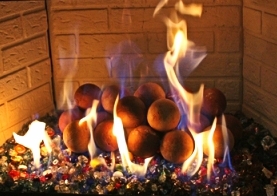 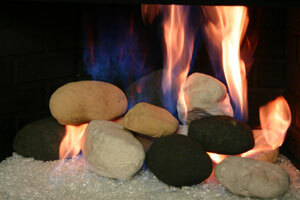 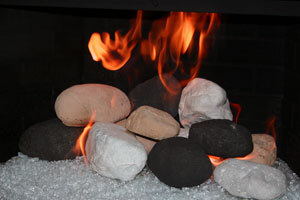 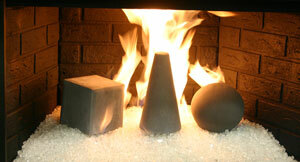 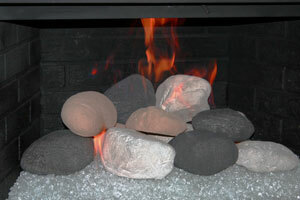 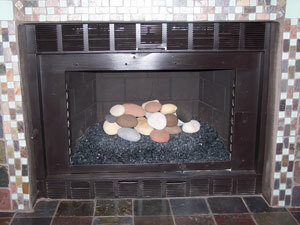 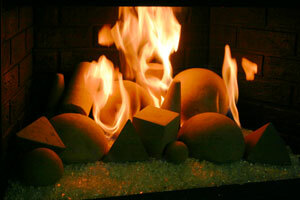 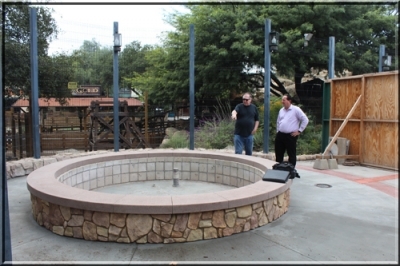 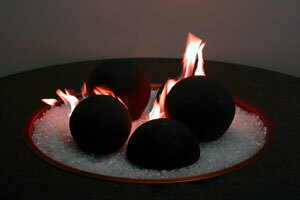 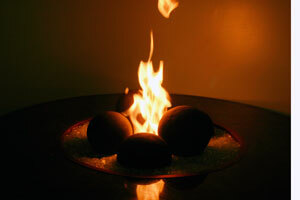 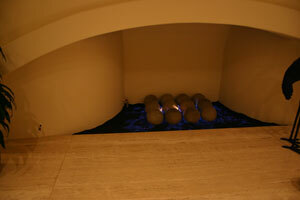 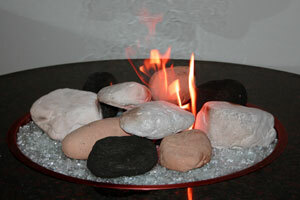 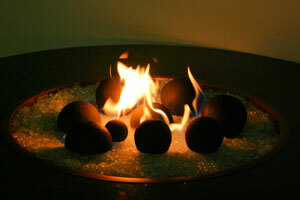 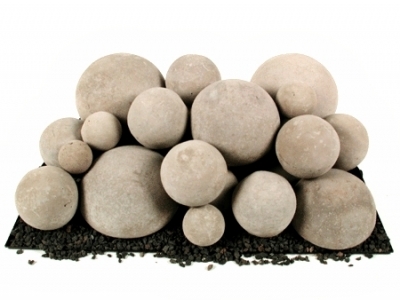 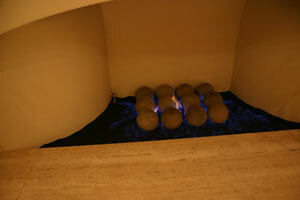 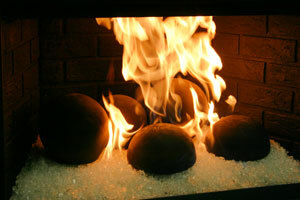 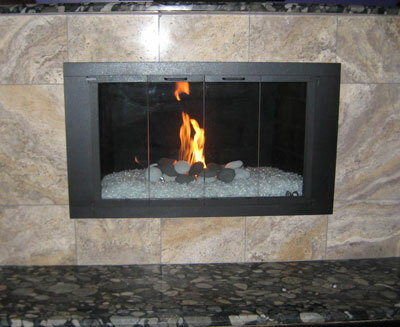 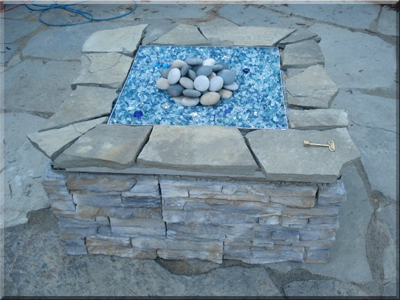 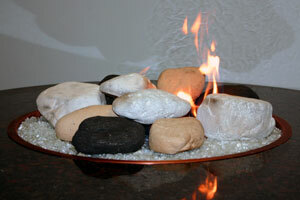 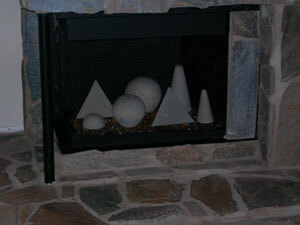 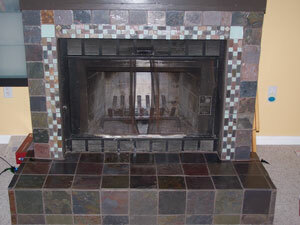 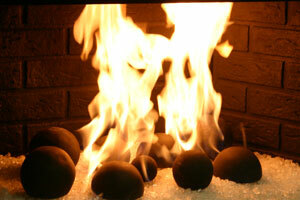 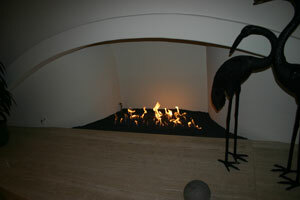 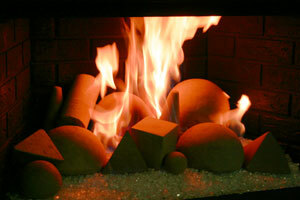 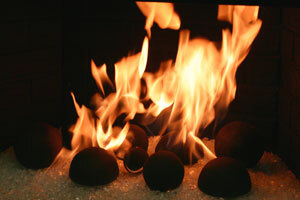 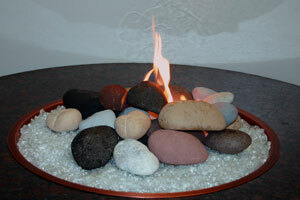 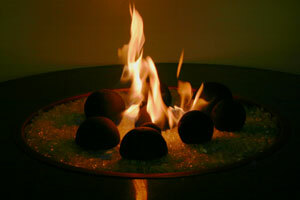 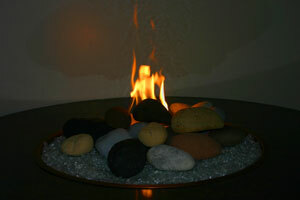 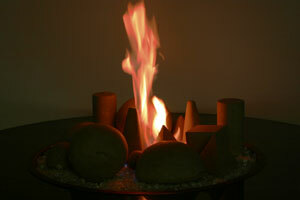 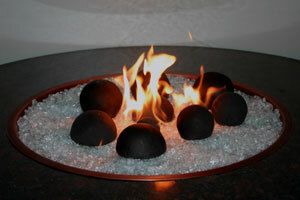 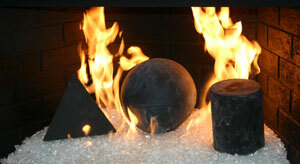 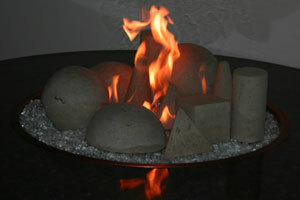 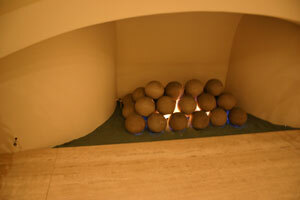 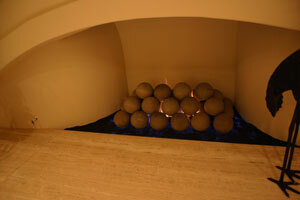 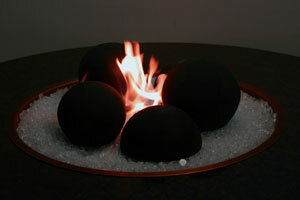 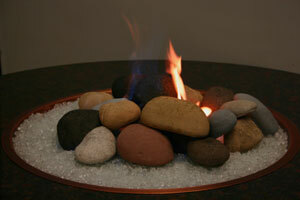 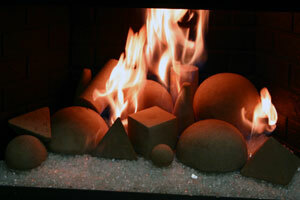 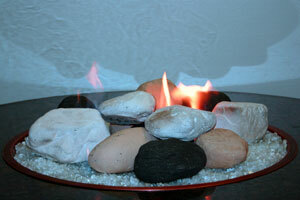 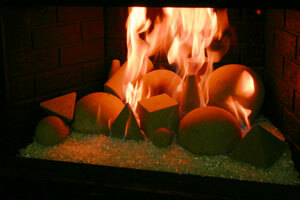 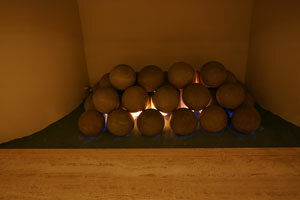 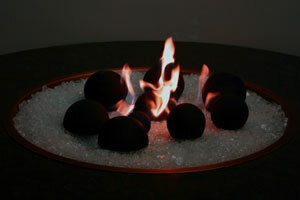 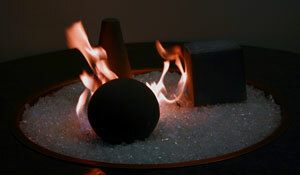 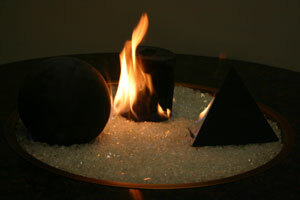 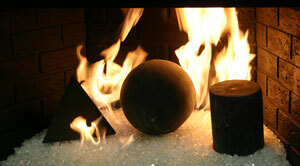 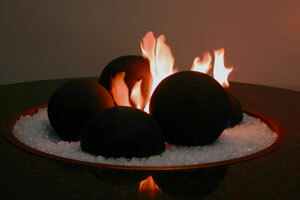 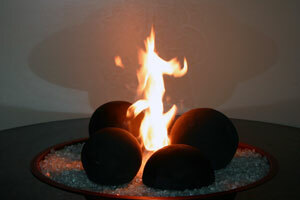 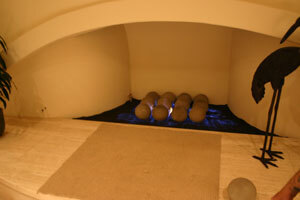 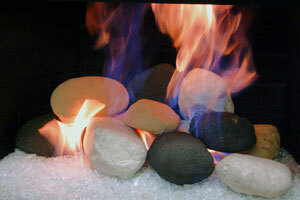 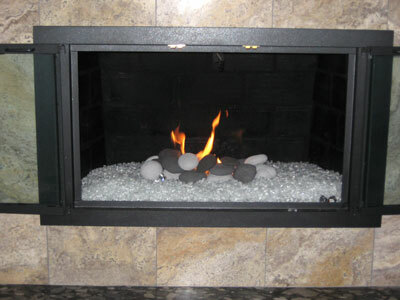 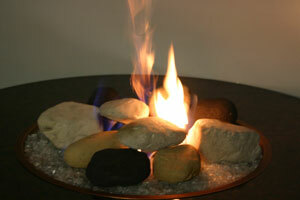 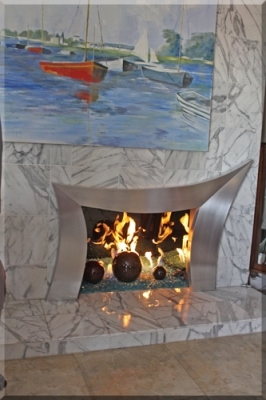 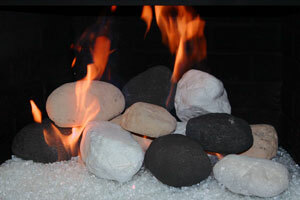 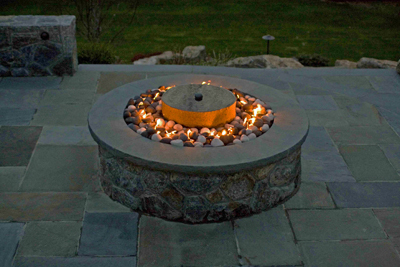 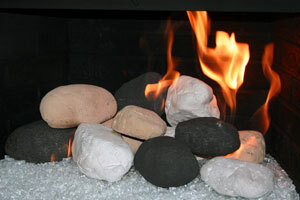 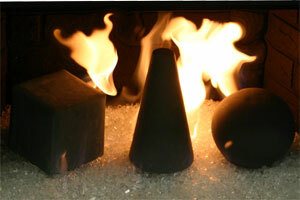 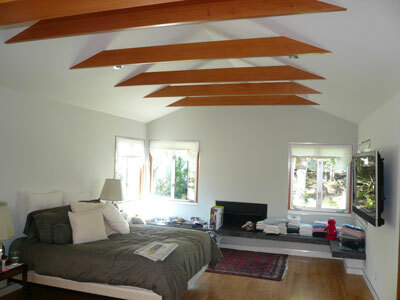 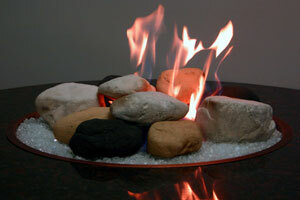 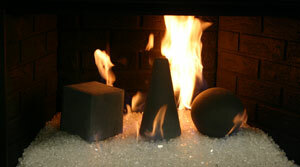 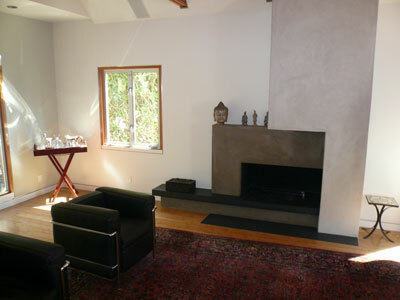 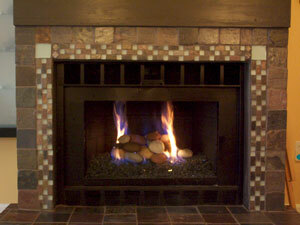 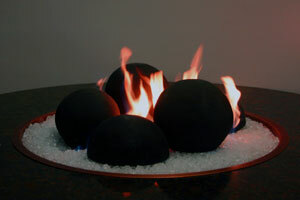 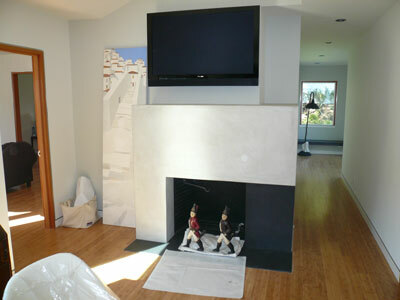 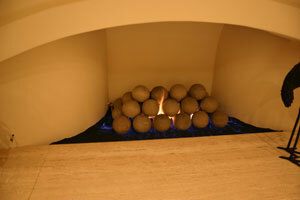 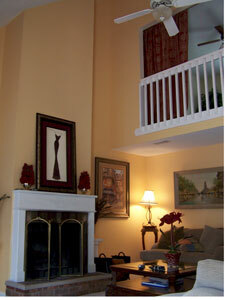 The fireplace below has a base or stafire with a 18" set of calico fire stones, very nice!